Starting an online business is a popular topic in almost every niche. There’s no barrier to entry with online businesses. They’re cheap and easy to start and generally speaking, you get what you put in. Plus, online businesses are easy to implement on the side. 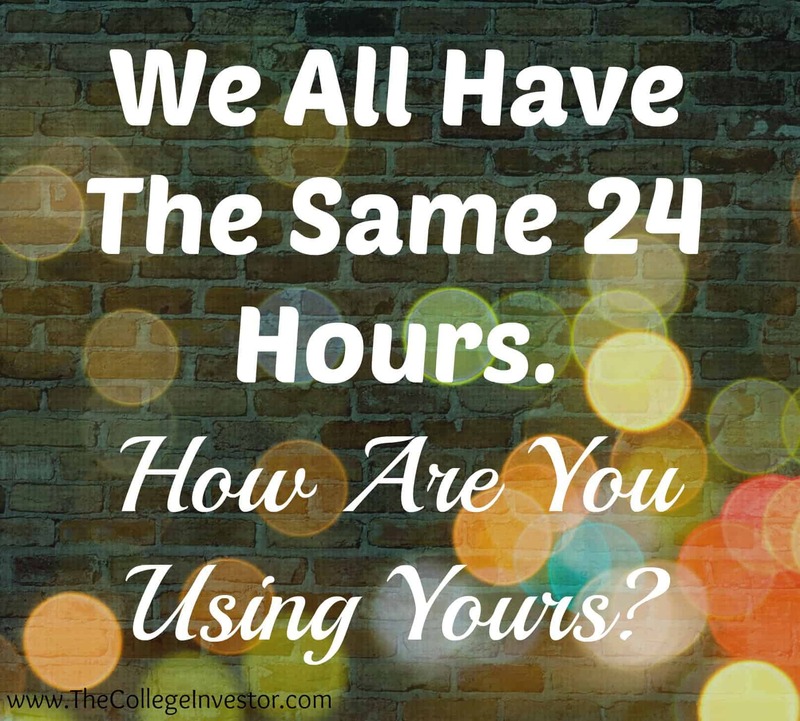 It doesn’t matter if you’re working full time or going to college full time – you can spend as little or as much time as you want working on your own business. However, starting an online business is not a get rich quick scheme. Just like any other business, success only comes after the hard work is put in. If you want to start an online business to help supplement your income or help you to reach your financial goals faster, here are some business lessons I had to learn the hard way. There are 170,000 blogs started each and every day. That’s mind blowing. Some blogs are started as creative outlets while many others are started with hopes of bringing in an income. It took me a little while to figure this out, but it’s true: a blog is NOT a business. Sure there are some blogs like Get Rich Slowly and Bargaineering that have sold for over a million dollars but that’s rare. Getting rich off of a blog was possible ten years ago, but it’s not now. You’ve already missed that boat. A blog is simply a tool that will help get your business noticed. It can act as a launch pad to sell your services or a tool to attract and communicate with your audience to promote your products. But blogging about your daily life or even a niche topic is not going to make you rich unless you have a product to sell. Businesses sell stuff. A blog should be your aid in selling but it’s definitely not your entire business. When you set off to start your own business it might not end up exactly the way you had originally pictured, but that’s okay. I had these well thought out plans about exactly what I would do: what hours I would work, how many articles per day I’d write, all the eBooks I’d create – then I quit my job and reality happened. 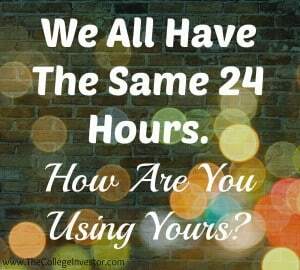 I had planned my days around the time when I was the most unproductive simply because that’s when everyone else was working. I tried to enforce a strict schedule on myself but I felt like I was wasting so much time doing this. So I decided to switch things up. I went back to working at night, I started focusing on the jobs I really enjoyed, and I’ve even started working on a new business that is nothing like what I had previously envisioned for myself. When you make the original plans for your online business they may not be a good fit when you put them into play. You may find yourself in a completely different position than you had originally anticipated, but that’s okay. One of my first money making ideas was to sell products like eBooks and courses on my blog. The problem though was the market I had chosen. The blog that I had started was centered on personal finance for the single mom. While I really enjoy interacting with the awesome people I have met through my blog, this isn’t an ideal market to sell products. When the market you choose is all about saving every cent possible it’s pretty hard to sell something. And even worse I don’t feel right selling items to people I truly want to help. Take it from me: your market is going to be crucial in your business making any money. You need to think about your market before you launch a product or stock inventory. Is anyone actually going to buy what you’re selling? When it comes to business there are so many things that you could be doing but that you probably shouldn’t. These things are simply distracting you from the work that’s actually going to impact your business. But when you see everyone else doing these things you feel almost obligated to do them yourself. Look at the truly successful people in your industry and try to emulate what they do. Don’t straight up copy their work but pay attention to how they spend their time and in what areas they concentrate most on. When you start your business you need to focus on the activities that really matter and block everything else out. That’s the only way you’re going to put yourself ahead of the competition. Starting your own business can be scary. There are many times when you’ll doubt yourself and even more times when you’re going to need feedback. Find someone in a field similar to yours to bounce ideas off of. You need someone who’s going to give you one hundred percent honest feedback. And you need to be able to take constructive criticism. You can also try joining a mastermind group or becoming active on a forum for entrepreneurs. Starting your own business can be a reality if you want it to be. The journey is exciting and scary all in one. It’ll take hard work but with time you make your business a success. 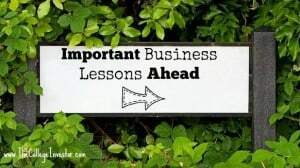 What lessons have you learned from having your own business? What scares you about starting a business? This is a really good post, Alexa. I’m not launching yet but I am paying attention to what successful people are doing (including you) so I know what to do when I’m ready. I think we all need to put our unique spin on things but there’s a lot to be said for learning from other’s successes and mistakes. Awesome post. There really are a lot of blogs out there so you need to find ways to differentiate yourself in order to be successful. And you really have to define your goals. Do you want to go all in create a super successful business? Or make some income on the side to supplement your current job? Or just write for fun? This will help determine how much work you have to do.